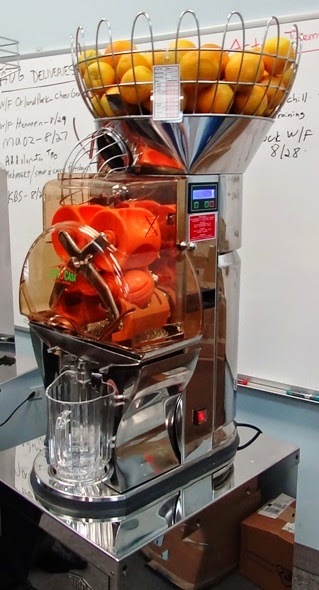 MPM Food Equipment Group has been named the Midwest and Northeast distributor of Citrocasa, the fastest, most efficient juicers for on-demand juicing needs. 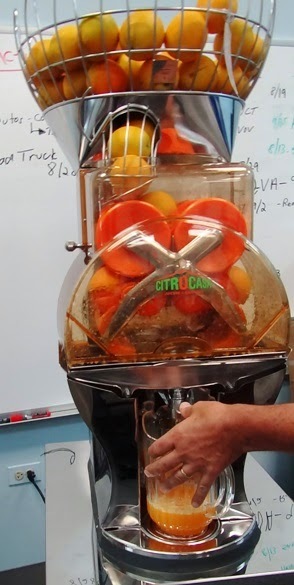 The team at MPM has received extensive training on many of the models, including the Fantastic, the 6000 and 7000 Series, and the 8000 Series – the most powerful on-demand commercial citrus juicer available today. With the ability to juice thousands of oranges (or lemons or limes) a day, each Citrocasa model can earn hundreds of thousands of dollars a year. With short payback periods and large profits per square foot, each of these juicers delivers healthy juice to the customer and healthy profits to the vendor. The units are made with highly attractive, 100 percent food-grade stainless steel. They come with the industry-unique “Soft Cut System” (SCS). Citrocasa’s patent-protected SCS allows for the highest quality orange juice and citrus juice available. The revolutionary “Up & Down” system cuts the fruit precisely, avoiding tearing the peel and contaminating the juice with bitter substances from the orange peel. The end product is simply pure fruit goodness. 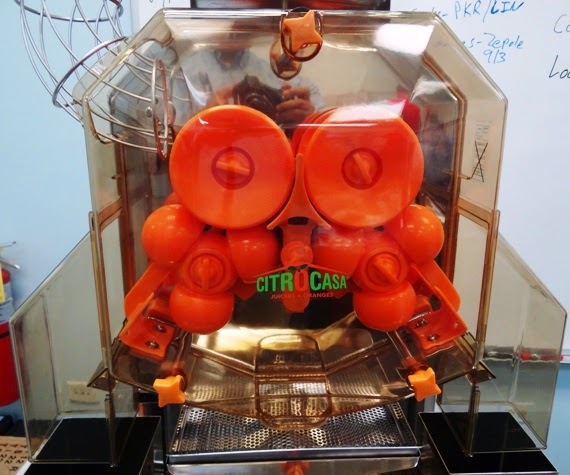 Thanks to the revolutionary design of its juicers, Citrocasa units can be disassembled quickly and easily. The “Cross-Holder” locks in a total of seven end positions with one quick-release lock. Along with the “Double-Cover” system and the peel ejectors, the machine can be taken apart for cleaning and reassembled in a fraction of the time required by other machines. And, all of the components that come in contact with the juice can be cleaned in the dishwasher. The design of the Citrocasa units is eye-catching, which can attract customers and help you sell more juice. The food-grade stainless steel (alloy 304) not only delivers durability and efficient cleaning, it showcases great looks that will give you a real sense of pride in your equipment. Are you interested in improving your juicer to better serve your clientele, improve your efficiency, and increase your profits? Contact the food equipment professionals at MPM Food Equipment Group for all of your food equipment needs, including a demonstration of the new Citrocasa juicers! For more information, visit MPM at http://www.mpmfeg.com/ or call 1-800-976-6762.